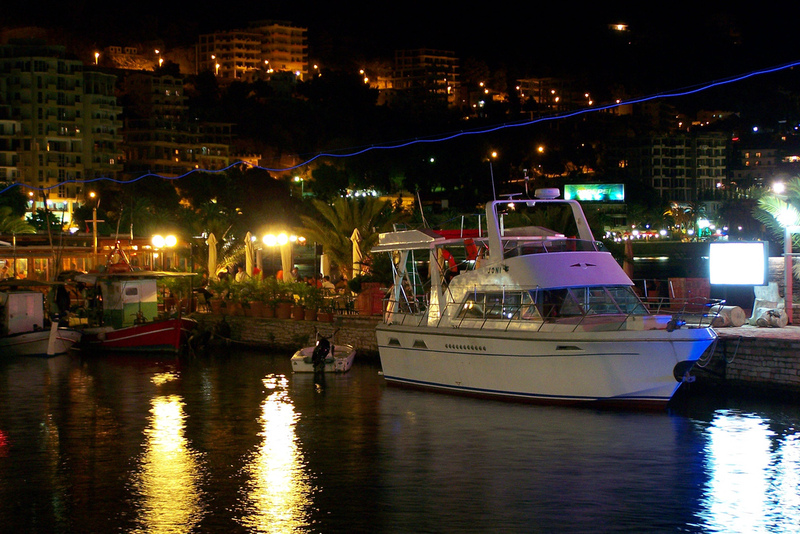 Evening stroll – Saranda is well known in Albania for its evening stroll, on the main road along the coast. This takes place every summer evening, starting at 7-8 p.m. It is a great occasion to meet and talk to the locals. People usually walk up and down the street, have a drink or dinner. Drinking on the street or on the beach is allowed in Albania, although walking around drunk is not appreciated. Mango Beach – situated in the south of Saranda, it is one of the best known open air clubs in Albania, for the atmosphere and the cocktails. It is open from May to September, starting in the evening until the early hours of the morning. It is right on a private beach and plays mainly house/dance music, it can fit up to 2000 people. Other well known places to dance are Disco Tropical and Disco Ecuador, near the Cuka channel. They bring in professional DJs and organize parties. Pubs and discos generally like their music loud, earplugs are adviced if you are sensible to that.